JAN: I'm reading Jane Eyre. Yes, because of the movie, but no, not for the first time. This is the third time I'm reading it, and what I'm wondering how I didn't notice earlier how longwinded it is. 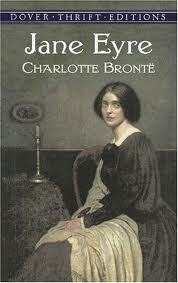 Or how incredibly groundbreaking the character of Jane Eyre must have been for her time. I guess I was pretty caught up in the love story. I knew she was a strong female character, but only now she was quite the feminist in the only way you could have been in the early 1800s. So today's JUNGLE RED list. Is books you've read more than once. And what, if anything, surprised you on second or third readings. RHYS: I am guilty of reading favorite books over and over. For years I reread The Lord of the Rings every six months, to the point that my daughter and I quizzed each other during long train-rides all over Europe. I always go to Agatha Christie when life is stressful and I need a book that doesn't involve me emotionally and in which life make sense. The moment In got a Kindle I downloaded the complete Jane Austen, the whole opus of P.G. Wodehouse. I just reread Northanger Abbey, which I hadn't read since my teens and I was amazed how very funny it is. A real spoof. Jane and I would have clicked instantly! 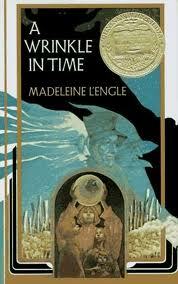 HANK: OH, I reread Wrinkle in Time recently--and though I still loved it, it was kind of..odd. Big holes in the plot, too big to even tesser through. I don't care, I still love it. DEB: I've reread different books at different stages in my life. I'm with Rhys on Lord of the Rings--I've reread the entire series every few years since I was fourteen. I also love Mary Stewart's romantic suspense. I can't count how many time I've read her novels, especially My Brother Michael, but it's been awhile. (My copies are crumbling.) At one point I think I'd almost memorized all the Dorothy Sayers, and I love Elizabeth Peter's Amelia Peabody books, especially the early ones. The last few years I seem to have gone back to fantasy. I've reread all the Harry Potters, and all Jim Butcher's Harry Dresden books. I LOVE Harry Dresden. But now that I have a Kindle app on my phone, I think it's time I dipped into Jane Austen again, and Wodehouse. And, and, and . . . too many books . . . more ways to read them . . . not enough time . . . I think the most interesting question is WHY we reread certain things. JAN: So tell us, what books have you found yourself rereading, and what did you learn the second (or third) time around? Oh yes, Deb--Mary Stewart. She's another one I reread although I find her a little more implausible these days. One problem with being a writer is finding holes in other writer's plots. Hallie, your THE EVERYTHING GUIDE TO WRITING YOUR FIRST NOVEL now resides within arm's reach. This might not be my first rodeo, as we say around here, but you have some terrific tips for writers! Rhys, Miss Molly is now perched on the top of my TBR pile patiently awaiting her turn. She's next to be read and I can't wait to start turning pages! Now, to the business at hand--rereading books. Number 1 on my list is the JD Robb IN DEATH books. I think I reread the whole series at least once a year, if not more often. With each new reading, I find new depths to the psyche of Eve Dallas and I fall more in love with Roarke. A series from my "childhood" that's stood the test of time has to be Andre Norton's Witch World books. Wow. What an introduction to fantasy. She had layered characters and strong women in those books. Rereading them now, and putting them in context with the period they were written, the nuances are amazing. The women had the magic power and the men distrusted them, until one "outlander" arrived and recognized the witches for their power and knew they were to be embraced not shunned. Since I've begun to find so many new writers (to me, anyway) because of blogs like this one, it's hard to find time to reread anything. However, our book club just read Frankenstein, so I dusted that off and reread it. Well. The suspense is well-crafted, but the "science", seen through the lens of 2011, seems very silly. The idea that a being pieced together out of long-dead cadavers could not only come to life, but also quickly learn excellent French, stretches credulity miles too far. I have Jane Eyre, and a bunch of other classic novels, on my Nook for when I run out of contemporary things to read. Someday soon, especially since the movie is out. Rhys, I met you at Festival of Mystery and bought Georgie #2 and #3. Love them, so much. Thanks for the Mary Stuart recommendation, I can see I'm going to have to read her. Karen, I can definitely see how Frankenstein wouldn't stand the test of time, technologically speaking. 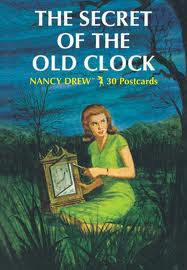 As a kid I reread the Nancy Drew books and I think I’ve read the James Bond series at least twice. I’ve reread Nora Roberts’ Chesapeake Bay series, High Noon, and Convincing Alex multiple times. I love how each time I learn more about the characters and how different Nora’s character can be. Another favorite is Undercover Love by Lucy Grijalva. I’ve read Nora’s High Noon and The Search more than once also. Janet Evanovich’s series got rereads up until about book 8 and then I just read them once after that. I have the In Death series saved and one of these days I will read them again. I want to go back to when Eve first met Roarke. I remember he seduced her with coffee, but I totally forgot how they met. Silver, rereading the series once a year, man, that’s lot of reading. I have Hank’s Charlie McNally series to be reread also. When I reread I pay more attention to the writer than I did the first time. First time I am so involved with the characters and the plot, I don’t even think about the writer. Mystery faves I re-read often are Elizabeth Peters (Amelia Peabody series) and Lilian Jackson Braun (except for the last couple). Interesting because I just finished One Was a Soldier (wonderful, btw; thanks, Julia! ), and I thought, "I should go back and re-read these all straight through!" Then I found this blog. :) And the LAST series I went back and re-read straight through was Deborah's. That was a very satisfying experience. Helped me understand the characters and the relationship much more fully. first time, but it didn't matter because I thought that overall those books got better and better. I, too, had re-read several of Mary Stewart's books to shreds (my favorites were The Moonspinners and Brat Farrar) and I actually have been known to quote passages from Sayers. Those books are literally in pieces. I think the book I've had the most complicated relationship with is Little Women. I've probably read it 5 or 6 times, starting when I was maybe 10 and most recently in my mid-50s, but I've responded differently to it almost every time ... all the way from can't get in to it to can't put it down to can't imagine what I ever saw in it! Must have something to do with life stage. Great question! Thanks for giving me a chance to think about it! Oops! Okay Josephine Tey wrote Brat Farrar; Mary Stewart wrote TheIivy Tree. Blush. I hate it when that happens! Oh, out of town all day yesterday, then a late night train ride home. But I forgot to add: The Stand. Oh you guys who can reread suspense and adventure. Lord of the Rings - I can only go through that nailbiting and worrying about characters once. For me, I think I only reread comfortable stories - I think that's code for love stories. I read Bleak House (yes, Dickens, and yes, it's enormous!) in my teens, my 20s, and my 30s. Missed my 40s; will try to get to it again this decade. I didn't plan to, it just happened -- but every time I read it, it was an entirely different book. I've also read The Bean Trees (Barbara Kingsolver) 3 times and think I'll go do it again. I've read all of Jane Austen 3 times, some of them 5. Etc. . .